This a 1990 Chevy panel van that was purchased without any modifications. It was fitted with a 5,000 watt gas generator, an 8 cylinder cascade system used by a twin SCBA bottle fill station. An awning was added with side curtains to provide shade in the summer and heat in the winter. A propane heater can be attached to the driver side to provide heat. The unit can respond with the capability of having 6 personnel donned with SCBA on arrival. It is also set up for usage as a command vehicle with 2 mobile radios mounted in the front. This vehicle was decommissioned and placed up for auction on June 10, 2015. This is a 1991 Pierce Lance custom class "A" pumper, currently designated as Engine 12, located at station 1. It has a 1,500 GPM Waterous Pump, 1,000 gallon water tank, and enclosed mid-ship pump panel. It includes a 1,500 gallon vertical slide in portable water tank, pre-piped 1,250 GPM deck gun, 1,000' of 4" supply hose, 2 - 1 3/4" cross lays, 1 - rear 3" x 500' attack load with 1 - 1 3/4" x 100' attack line with capabilities of attaching another 100' line to a pre-connected gated wye. This was the first Pierce purchased by the SCAFD. It was followed by 2 more. It was originally designated Engine 22 and housed at station 2, but a recent purchase of another engine, moved the apparatus to station 1. On November 12, 2004, TFT intake valves were installed to replace the 1/4 turn valves. On September 16, 2005, Monroe Truck Equipment installed a new directional light stick & control. The trucks shown here are all one in the same from 1987 to 1999. The picture on the left shows Tanker 23, after it was retrofitted after being received from the Michigan DNR in March of 1987. It was a 1965 GMC surplus aircraft fueler with a 5,000 aluminum tank and 600 GPM pump. All of the fueling equipment was removed except for the pump. A cabinet was installed between the cab & water tank to hold equipment. Although an effective means of hauling water, it wasn't ideal. In 1991, an International chassis was purchased to replace the GMC. This provided a higher GVW to provide a safer vehicle to transport the 5,000 gallons of water. The tank & pump were transferred to the International. A lift axle was also added to properly distribute the weight. Finally in 1999, picture on the left, after approval in 1998, the pump was upgraded to a 1,250 GPM Waterous pump with pump panel. By doing this, the pump can be tested annually, and provide double the fire flow. Cabinets were added on both sides to provide storage that was eliminated with the upgrade. A lot of time and effort has gone into this vehicle over the years. As a result, this vehicle will be playing a large part in our ability to lower the ISO rating for the property owners in our fire district. As of December 31, 2001, the rear mounted tank fill system has been completely re-done. Now there is a 4" fill on both sides between the rear bumper and fender wells. This is a 1993 Chevy 3/4 ton 4x4 crew cap pickup. It was primarily purchased to provide a means of transporting dirty hose back to the fire stations after a fire. However, it is being used for transporting students to the current Firefighter I/II academy and as a supplemental response vehicle when responding to Automatic Mutual Aid to the Flushing Fire Department which is to the north of our fire district. Although the vehicle is pictured in front of station 2, it is being housed at station 1. This unit was renumbered to 41-16 and housed at station 1 June 2015. This is a 1998 Pierce Saber pumper, Engine 11. It was delivered December of 1997. The specifications for this unit were a cooperative effort of all SCAFD personnel that wanted to be involved. It was a radical design change from the first Pierce engine, but it was felt that the changes were necessary. Features include, a 1,500 GPM Waterous single stage pump, 750 gallon poly tank, seating for 6 (5 with SCBA mounts), passenger side ladder for easier access to the pre-piped TFT deck gun, drop down ladder rack with mounted 6' step ladder, twin 100' Hanney hydraulic hose reels for the Amkus jaws, cutters, and rams, and an extended front bumper with a 100' pre-connect 1 3/4" hose line. The unit is NFPA compliant. The passenger side compartments were set up for vehicle extrication alarms. The driver side compartments were set up for fire alarms. This was done so the ladder rack, when in the down position, would not interfere with fire alarms. 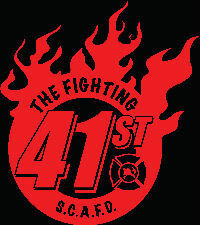 This is the most recent addition to the SCAFD fire arsenal. This is a 1999 Pierce Sabre pumper, Engine 21, housed at station 2. It was received in July 0f 1999. The specifications are almost identical to Engine 11, but with a few modifications. The pump throttle control is electronic instead of manual and the extension ladder is a 35' rather than the 24' that is on 11. An additional hose bed divider was added, which raised the height of the unit, over all, by 3". A second set of Amkus jaws & cutters were also purchased with twin 100' hydraulic reels for deployment. Both units may use the reels, or can disconnect and move the pump and tools if the reels cannot reach. This unit also has a TFT pre-piped monitor gun with the ability to remove the unit for portable usage. A pre-connected monitor base is mounted on the rear for quick and easy deployment. Engine 21 was not originally part of the long term apparatus purchase plan, but due to the impending growth in the fire district, the City of Swartz Creek and Charter Township of Clayton, approved the purchase. Both Engines 11 & 21 were set up to be identical in lay out, in order to minimize confusion of equipment location. 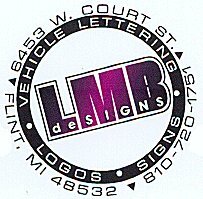 On May 3, 2002, LMB Design installed new decals on all the major apparatus to indicate the contributing municipalities that are served by the SCAFD. Below are the photos. Thanks again to for providing the decals! Thanks to a grant from the Par Plan, chevron striping for all apparatus except the grass rigs was installed effective Oct. 15, 2012.